At their meeting next Monday, Sackville councillors will be asked to award a $15,000 contract to consultants to come up with a business development strategy for the town. Town staff have chosen Lions Gate Consulting Inc. of Vancouver and its partner 4L Strategies of Milford, Nova Scotia to draft such a strategy at a total cost of $17,250 when HST is included. Jamie Burke, senior manager of corporate projects, told council at its meeting last night that the town received three responses to its request for proposals for the business development project. He said the Fredericton office of Pivot Consulting Inc. and Common Good Solutions of Halifax also submitted proposals, but scored significantly lower on the town’s ratings scale which includes financial considerations, previous experience and expertise as well as the general approach to the project. 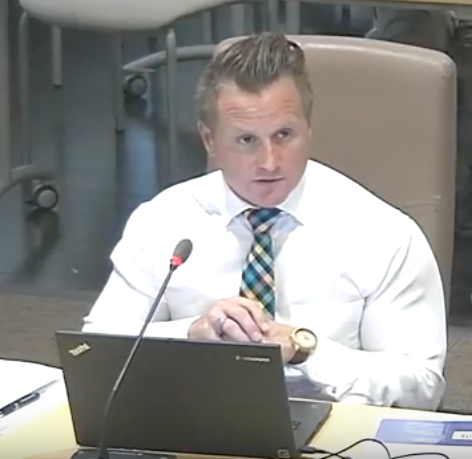 When Councillor Andrew Black asked why a business development strategy could not be drafted by town staff instead of hiring outside consultants, Burke replied that staff are too busy on a day-to-day basis to lead such a project, at least not for the remainder of this year and the early part of 2019. Burke added that senior managers would oversee the project and help the consultants throughout the process. Mayor Higham pointed to recent successes such as the reopening of the former Moloney plant on Bridge Street and the construction of Terra Beata cranberry freezer storage facilities in the industrial park. “At some point, we have to figure out what’s next and what’s next may not be another industrial park,” Higham added. “There’s a lot of pretty big questions that we need to get some handle on in order to know what’s best for the community,” he said, adding that drafting a business development strategy is a first step. “It’s a long-term decision at some point here as to how you want to see the community develop,” the mayor concluded. This entry was posted in Town of Sackville and tagged 4L Strategies, business development strategy, Lions Gate Consulting Inc., Terra Beata Farms. Bookmark the permalink. It’s a generic consulting company with a focus on communications and content creation, including SEO (which is really how to to game the Google algorithm). The town will get a generic report for their $15K, provided by a company with no real understanding of Sackville, and all the interviews they do will provide no real insight. I bet they will recommend new branding, because then there will be a future contract for marketing & branding. I guess when you have ‘A Special Kind of Town’ that has no one employed that seems to take business development seriously, or shows any knowledge of how to go about it, then one has to go 4000 miles away to find someone to tell them what to do. Very annoying to say the least. Sure lots of pretty flowers around though eh? Lucky that ‘our’ Town only had to go to Riverview to get expertise on flowers and not Mexico or perhaps South Carolina. Well, here we have yet another example of relying on people ‘from away’ to tell us how our Town should be managed. Jamie Burke’s excuse that the Town department managers are simply “too busy” to do their jobs falls far short of credulity. He claims also that it’s a matter of ‘running out of time’. Why would this be? Why was not this being addressed previously, instead of waiting until some deadline (as yet unknown to the public) looms over them? And just what exactly IS the deadline that is causing this seeming rush to hire someone from outside to guide us in our future plans? We already pay the salary of a Business Development Manager, who also happens to be the Department Manager for Tourism. In addition, we pay salaries for other staff that work with the Department Manager, in both of those capacities. For the first 6 months of 2018, total salaries paid out for Tourism were $44,459, for an average of $7,410 per month. For the same time period, total salaries paid out for Business Development amounted to $47,668, for an average of $7,945 per month. From monthly reports delivered at Town Council meetings, there are lists of activities which took place during each month, for the combined Tourism and Business Development Department. For the first 6 months of 2018, there have been a total of 62 individual items / events reported for the Tourism & Business Development department, only 15 of which were directly related to Business – the remainder being for Tourism. So, from January to the end of June for 2018, while 52% of the salaries for that combined department were earmarked as Business Development, only 24% of the actual reported activities and events were directly related to Business. 1 . With that much money being paid out in salaries for Business Development, how is it that we cannot manage to come up with a business development strategy? 2 . What exactly are those staff members doing to promote Business Development in Sackville? I agree with Harold, Percy Best, and Councillor Black. I partly agree with our Mayor. The examples he cited are both good news for our town indeed (Moloney plant, Terra Beata cranberry freezer storage facilities). However, I do not agree with his justification of the choice that has been made: “There’s a lot of pretty big questions that we need to get some handle on in order to know what’s best for the community”. What does it really mean? I am very curious about the differences in the town’s rating scales (financial considerations and other aspects) for all these firms? I also think that the best experts of what would be best for a community are usually the community members themselves. Related to this, are there any plans to consult with community members prior to and/or during the writing process of the business plan? I was out of town and missed the discussion about hiring an outside firm. For several years I have been following the work done in Woodstock, called building a transitional town and in the Kentville, NS area. In both cases community people in deep consultation with the community and basing their findings on research came up with ways to move away from fossil fuels and how to become less dependent on bringing in exports of food, etc. I have suggested that the town look into this process and there is still time to do so.